Podcasts are a great tool for storytelling. When created with the best audio quality, you can be sure to attract listeners online. And who knows, they may be interested in downloading them as well. When recording a story, however, it can be a bit boring if you simply narrate everything. There’s a way to make it more interesting and you can do that by adding some background music and special effects. This will make your podcast more lively and appealing to your target audience. Podcasts that tell stories are great for children. Make sure you choose those that are not too long and have an interesting plot. Incorporating some background music does not necessarily have to cover the entire time of your storytelling. Perhaps you can use it in the introduction portion, in the middle and then in the last part. Sometimes, it’s helpful that music is played only at certain sections of the story to allow your followers to clearly understand the story. In choosing your music, pick those that are instrumental or without somebody singing. Classical or jazz tunes are best to use. There are various sound effects you can use to enhance your podcast. If you like to make your vocals louder than the instruments, choose the Amplify effect. 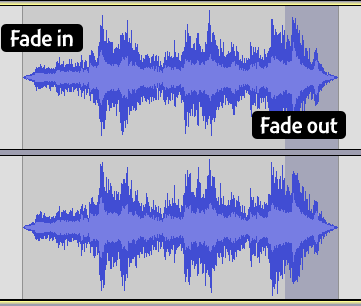 For smooth transitions, the Fade In/Out effect is best. The echo is another effect which you can effectively use in your storytelling production. Don’t be afraid to test the other sound effects available. This way, you will know what sounds they create and where you can apply them.